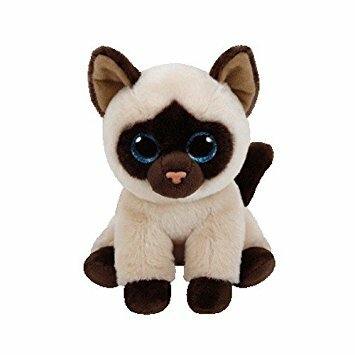 Jaden is a Siamese cat with soft, cream coloured fur. He has large, glittery blue button eyes and a dark peach coloured button nose. His face, ears, feet and tail are all made from soft, dark brown material, with his muzzle being made from a slightly smoother material. The inside of his ears are lighter brown. Jaden was released in December 2015. Jaden has eyes like a Beanie Boo, but is part of the Beanie Babies range.